Needham, Newton, Wellesley weekly real estate update: Another busy week, almost half sell in less than 30 days. This week was a busy week for sellers in all three towns with Needham and Wellesley at 20 new home / condo listings each and Newton at 45. Needham now has 4 weeks in a row with 20 or more new listings. 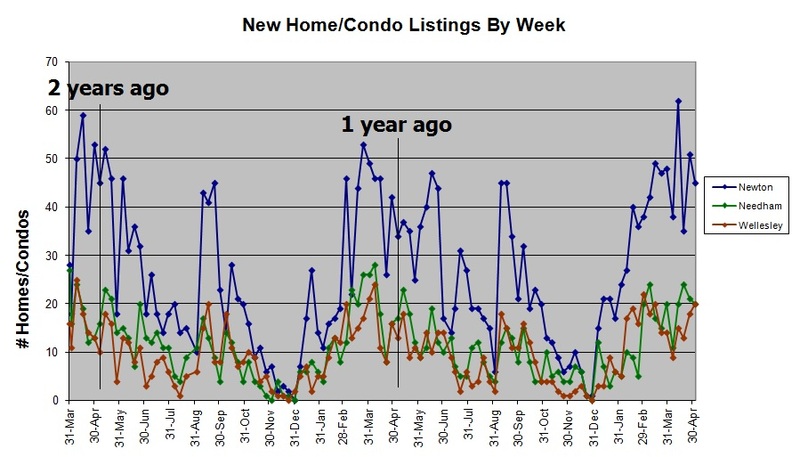 Interestingly, only 8 out of the 85 new listings are under agreement so far. In my experience, that is a low percentage. 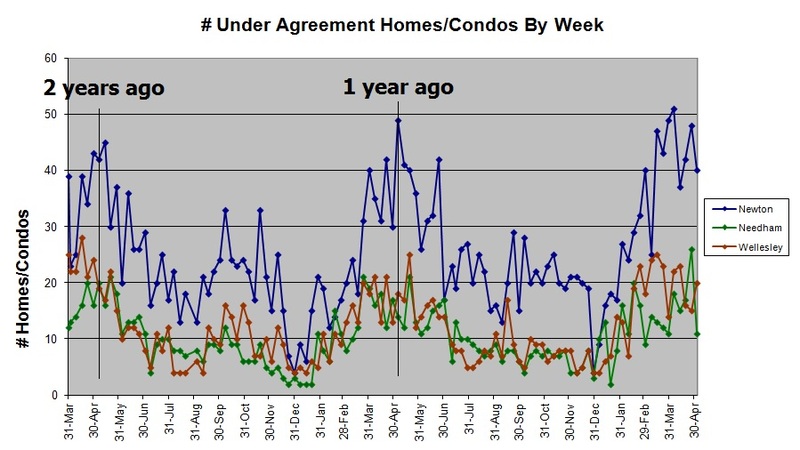 Looking at under agreement listings, this last week was at or near the peak the past two years if you look at the graph below. 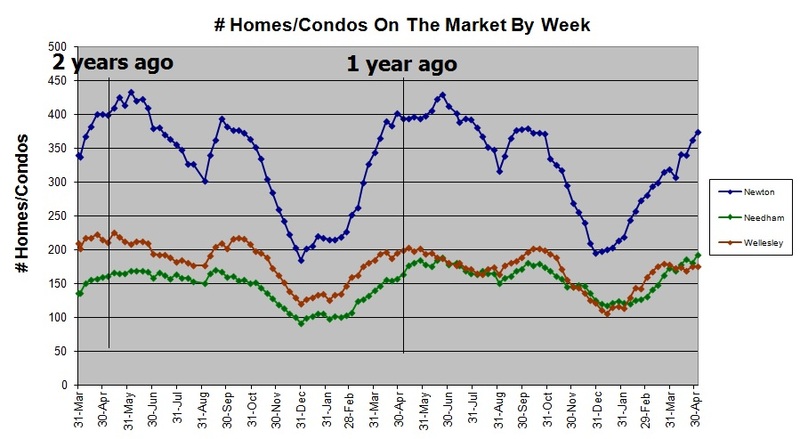 However, this year has been very hot and to illustrate that, 32 of the 71 under agreement listings this week had been on the market for less than a month. Inventories in Newton and Wellesley continue to be below the same point in the past two years but Needham inventory is up. Are you looking to sell your home? The spring market is near its peak. Give me a call today. If you would like to get my Home of the Day listings, go to my facebook page and hit the Like button.